Ideal for making a set in your pipe run to avoid obstacles. Also used to assist in making a neat connection to inlets as pipework generally is ran away from the stud and inlet plate is mounted on the stud. Use one of these to angle towards your short 90 bend at the inlet mounting plate to make for a straight and pressure free connection at the inlet plate. 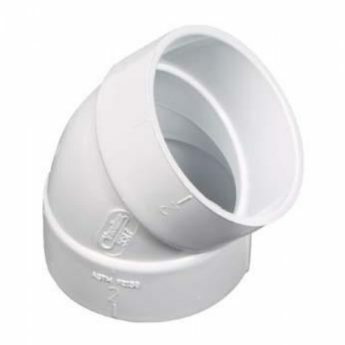 Using one of these and a spigot 45 will also make a nice sweep 90 bend with a low profile, an example of where this is handy is for use at the bottom plate to make a 90 bend for a vacusweep. Using this method, less of the bottom plate of the wall frame needs to be removed to get the fitting to sit on the ground level.